Earn $28.92 in Rewards credit (2892 points) What's This? Shimano’s lightweight flat mount BR-R7070 hydraulic disc brake caliper offers strong, reliable stopping power and aerodynamics for road set-ups. 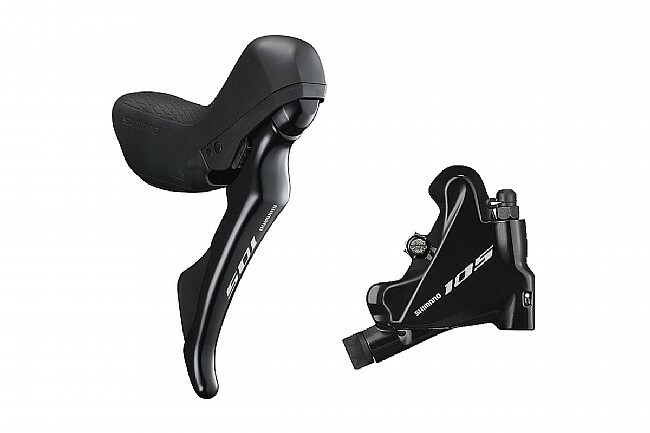 Shimano’s 105 ST-R7020 disc brake is slimmer thanks to redesigned internal shift units and ergonomically shaped levers. Up to 15mm of reach adjustment improves control and performance. Up to 15mm reach adjustment. Brake Type: hydraulic, 2 pistons. Pads: L02A resin with cooling fins.